I read this article and found it very interesting, thought it might be something for you. 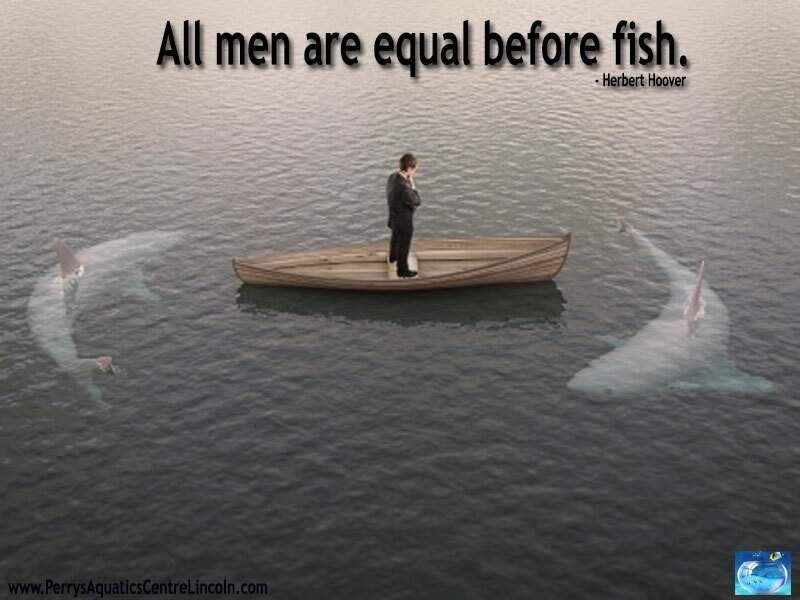 The article is called Men Are Equal Before Fish and is located at https://perrysaquaticscentrelincoln.com/men-equal-fish/. 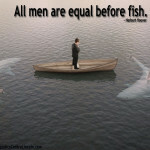 All men are Equal before Fish! It is true that when we think of fish and marine life we think of some absolute monster animals. While we may stand in awe of something like a whale shark or tuna because of its sheer size, it is possible to get lost in awe with beautiful tropical fish as well. Fish can truly do some amazing things and watching their ability to move fluidly underwater and live in an environment that is so foreign to us, can be an amazing process. Enjoying this experience in your home is also something that’s entirely possible. In the past people may have been required to visit an ocean to see some of the wonderful tropical fish, plant life and corals that we have available for home aquariums today. Now it is possible for people to create stunning underwater ecosystems so that they can enjoy them in their homes each and every day. Senior fish grow and live in a proper aquarium can be a very rewarding experience and something that certainly leaves a fish owner in awe. For more information on creating your own underwater ecosystem contact Perry’s Aquatic Center in Lincolnshire. Perry’s Aquatic Center has years of experience in serving the Lincolnshire area. Be sure to check back often as Perry’s as we are constantly getting in new marine fish, aquatic accessories and tropical fish. If you own an aquarium already be sure to stop in at Perry’s to claim your free water test to ensure the future health of your pets and plant life. « Are you a Pisces?